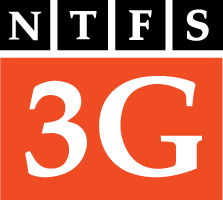 NTFS-3G allows you to read NTFS formatted hard drives on Linux systems. This is a huge convenience for users who wish to use their hard drives on both Windows and Linux systems. There are ext4 wrappers for Windows that allow you to read hard drives formatted with ext4. There is a performance hit with the older ntfs-3g (see these benchmarks). While newer ntfs-3g versions may not provide significance speed benefits, you may still want the latest and greatest. These instructions were tested on Debian and Ubuntu systems. 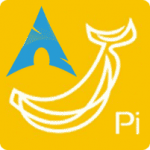 This tutorial for installing the latest ntfs-3g from source should work on the Raspberry Pi running Raspbian, Banana Pi running Bananian or Armbian, Orange Pi and other SBCs . Note that you should copy the first two lines one by one. Install dependencies for building ntfs-3g adapted from here. ntfs-3g: No device is specified. Now you have installed the latest NTFS-3G on Debian or Ubuntu, please report any speed benefits or general improvements. If you are looking to mount your hard drive properly see this guide. You may also be interested in a new hard drive.